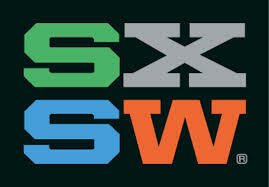 SXSW has hit the streets of Austin and everyone is swooning about the music, art and culture of this annual event. However, this development diva is primarily interested in the tech aspect if the gathering. Some of the hottest new ideas for wearable technologies were presented to a packed crowd at the South by Southwest Interactive festival on Saturday (Mar. 8), in a conference room at the Hilton Austin Downtown. From a device that could verify your identity based on your heart rhythm to a swanky handbag that can charge a smart phone, some of the hottest new ideas were on display. The SXSW Accelerator competition has technology experts, members of the media and venture capitalists giving tech startups a chance to pitch their products to an audience. The competition will conclude on Sunday, when a winner is selected from among the eight finalists within the wearable technology category, and five other categories. So let’s dish about the competitors! One of the interesting competitors was the Toronto-based company Bionym, which is developing the “Nymi,” a wristband that the company says will use the wearer’s unique cardiac rhythm to confirm identity, saving you the trouble of a password or pin number. One company was a Staten Island-based startup developing a fashionable handbag that could charge your phone or tablet, and light up inside when opened. Another cool submission was San Francisco-based Fashion Discovery Labs that launched an app that could allow Google Glass wearers to take a picture of someone’s clothing and instantly shop for the item online. Toronto startup, Kiwi Wearable Technologies, showed off the “Kiwi Move,” an all-purpose tracking device that the company says will contain motion sensors, temperature and air pressure sensors, a microphone and Wi-Fi and Bluetooth capabilities. Wearable handbag that charges your phone.